File this one under FAST! 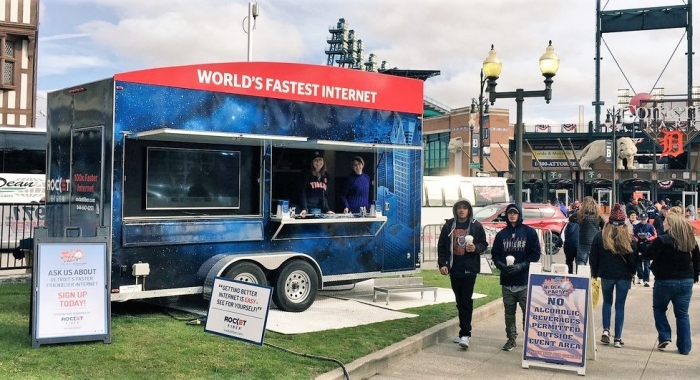 Detroit homes and businesses can now use the fastest internet in the world, and Triune Specialty Trailers is helping to spread the word. Rocket Fiber is an internet service provider that’s part of Dan Gilbert’s Rock Ventures and Quicken Loans Family of Companies. Rocket Fiber is dedicated to bringing affordable gigabit internet and personalized client experiences to residents and businesses. 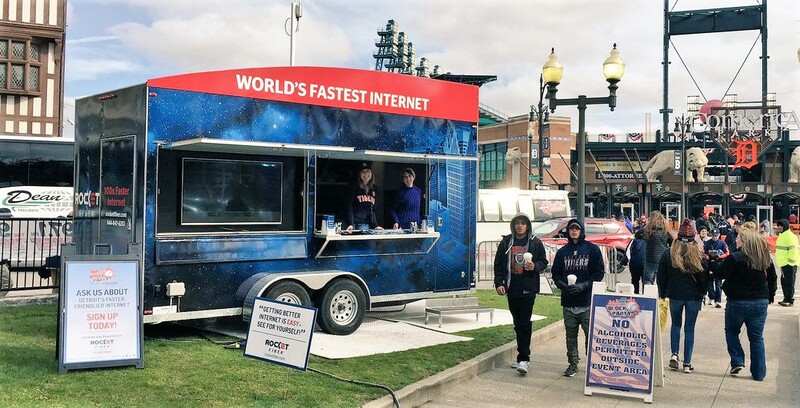 Rocket Fiber selected Triune to build a mobile marketing and experiential trailer to promote their lightning fast internet service at events and locations in and around Detroit. 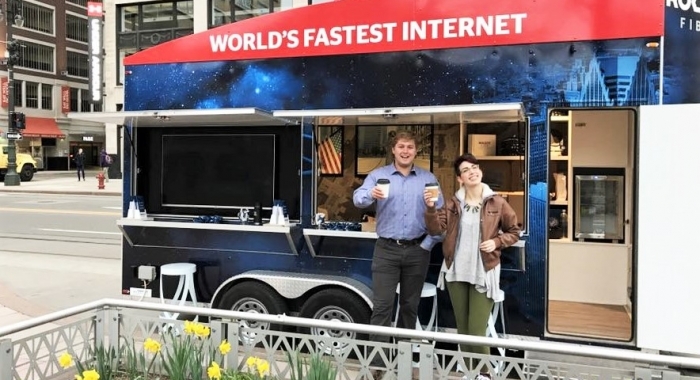 We followed up with co-founder and CEO Marc Hudson to hear how the Triune trailer helped Rocket Fiber demonstrate the power of Rocket Fiber’s gigabit internet, which is 1000x faster than traditional internet speeds. Q. Why did you originally purchase the Rocket Fiber trailer? A. We purchased the trailer to have a boots-on-the-ground presence in the community. 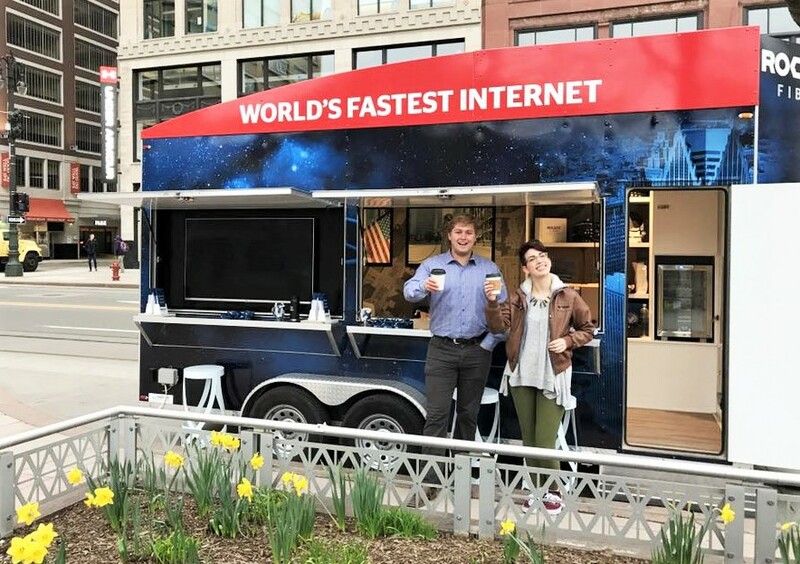 We developed the idea of a “mobile internet showplace” that could be taken to different buildings and community events and offer a laid-back way to meet and greet with our potential clients and spread the word about Rocket Fiber. Q. How has the trailer been used? What types of events? A. It has been a great tool from both a visibility standpoint and a creative marketing standpoint. 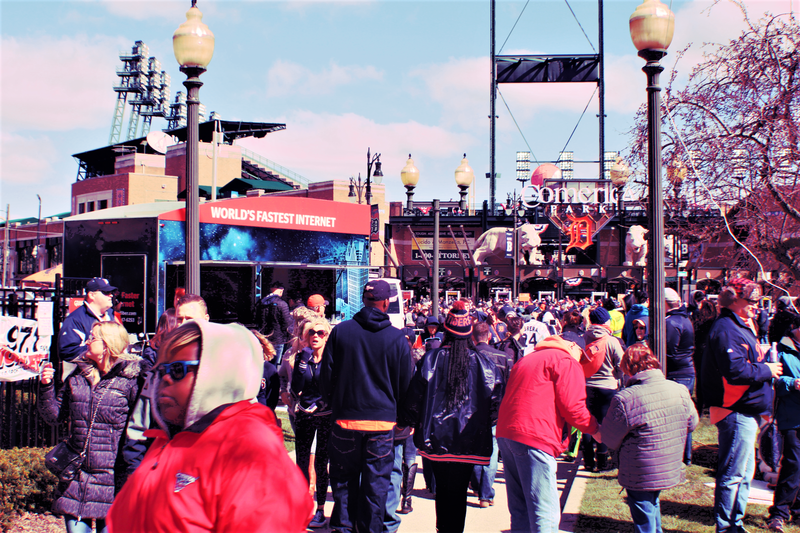 We use it for larger community events, such as the Tiger’s Opening Day Block Party and Red Bull Hart Lines, which draw huge exposure to our brand that we would not have been able to achieve if we did not have the trailer. We also use it for smaller events out in the community, such as Woodbridge Clean Up Day, and at buildings where we have service. Some buildings have exclusive marketing agreements that restrict what we can do on the premises, and the trailer gives us an interesting and fun way to still interact with those potential clients. Q. What kind of response have you received? A. Both our team and the community love it! People love to come and hang out in our “living room on wheels” – such a relaxing and laid back environment makes it so much easier to have quality conversations with all our potential clients. Q. What are your favorite features? A. We love the heater since Michigan weather can be so unpredictable! It’s also very convenient that we can connect to a standard outlet for power, but we aren’t limited to that. The generator is such a great tool since we can be completely self-sufficient, so we never have to limit our activity based on power availability. Speed, flexibility, attention to detail and personalized service are values that both Rocket Fiber AND Triune Specialty Trailers hold dear. To find out how a Triune trailer can boost your business, give us a call! 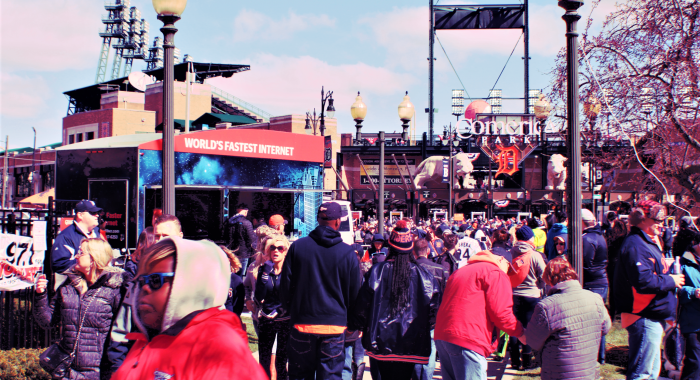 Rocket Fiber is a Detroit-based internet service provider, dedicated to advancing the internet experience for all with dependable, unrestrained connectivity and helpful, authentic client service. 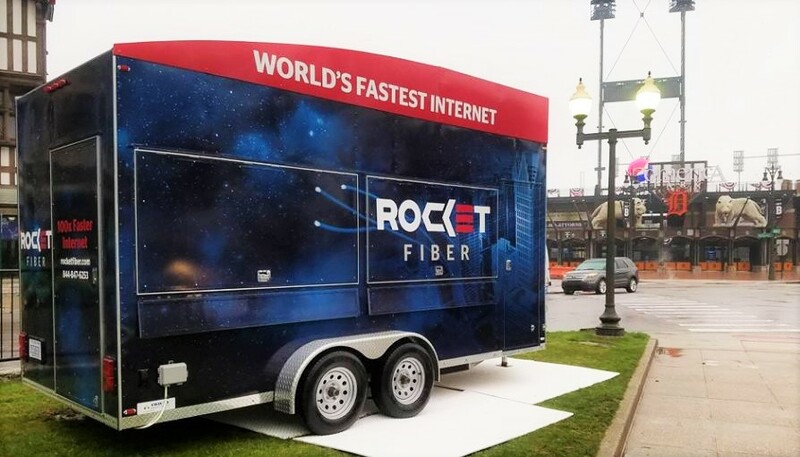 Rocket Fiber’s technology is delivering gigabit internet speeds that are up to 1000x faster than the average connection, transforming the way its clients create, collaborate and communicate. For more information about Rocket Fiber, visit www.rocketfiber.com.